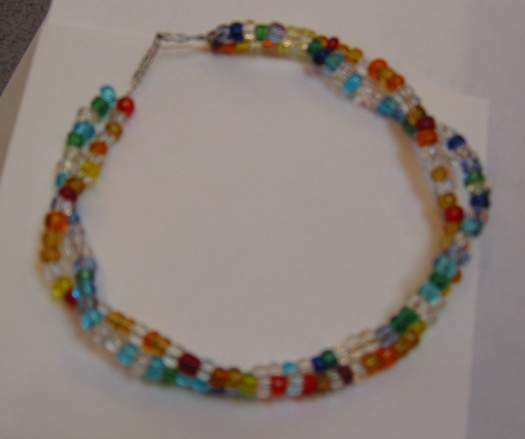 This is my anklet that I made using beading wire and rainbow beads. It was really simple to make, and I only stabbed myself once during the whole process. Basically what I did was take two pieces of wire, some medium sized beads, and put the beads on the wires. Then I twisted the two wires together, and created a loop and circle at opposite ends so they could attach. I wasn't very happy with the end result, because I think its kinda ugly when wearing.